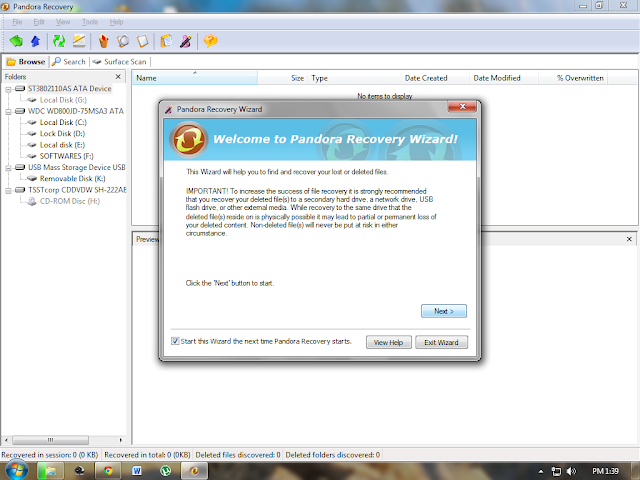 For recovering deleted files from memory card or hardisks,pendrive there are a lots of software on internet but i recomend Pandora recovery tool its free and easy to use. When you delete a file on FAT32 or NTFS file system, its content is not erased from disk but only reference to file data in File Allocation Table or Master File Table is marked as deleted. 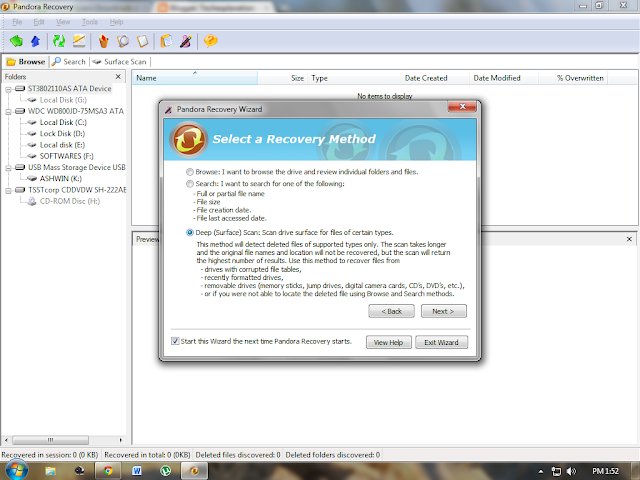 It means that you might be able to recover deleted files, or make it visible for file system again. On top of that, Pandora Recovery allows you to preview deleted files of certain type (images and text files) without performing recovery. 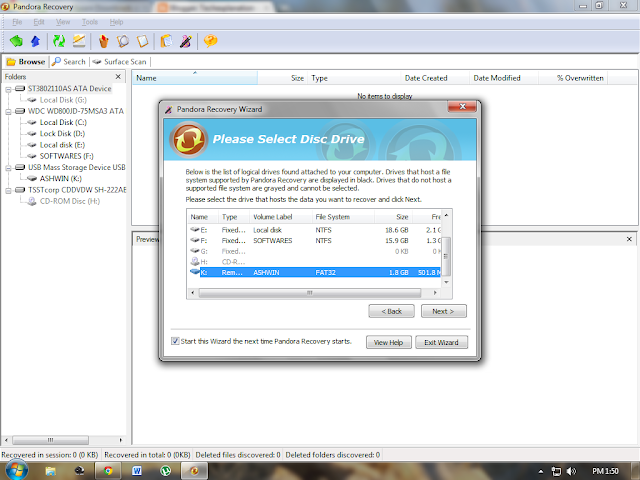 This feature becomes really important if you are forced to recover deleted files to the same drive. Currently you can preview files having several image file types (BMP, GIF, JPG, PNG, ICO,TIF, TGA, PCX, WBMP, WMF, JP2, J2K, JBG, JPC, PGX, PNM, RAS, CUR) and several text file types (TXT, LOG, INI, BAT, RTF, XML, CSS). 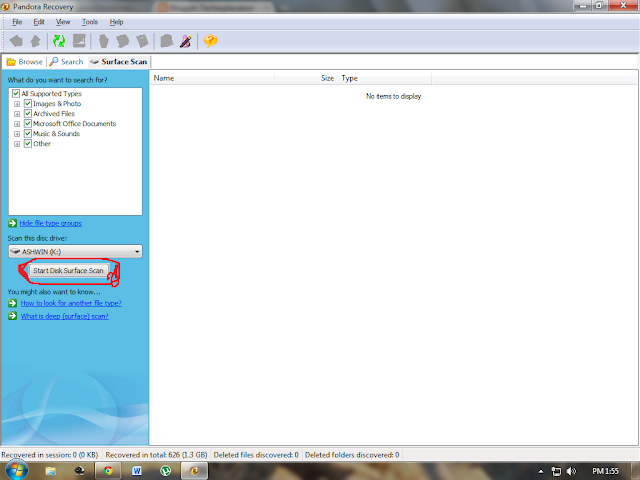 Quick Viewer allows you preview file contents as text if it cannot find appropriate viewer for it. To use quick viewer you can select deleted file and or click the Quick Viewer icon or right click on deleted file and select 'Quick View'. Quick View will then display a preview of deleted file. You will also like:--Free Download of Fruit Ninja Game for pc. Install Pandora and run it. Click (No , I did not find my files. )and press next. Select drive that was contain that deleted file and press next button. Select (Deep surface scan) after that press next. Press (start deep surface scan). Search and select the file you deleted and do right click a recover it. Your file is recovered.Now enjoy and comment please. 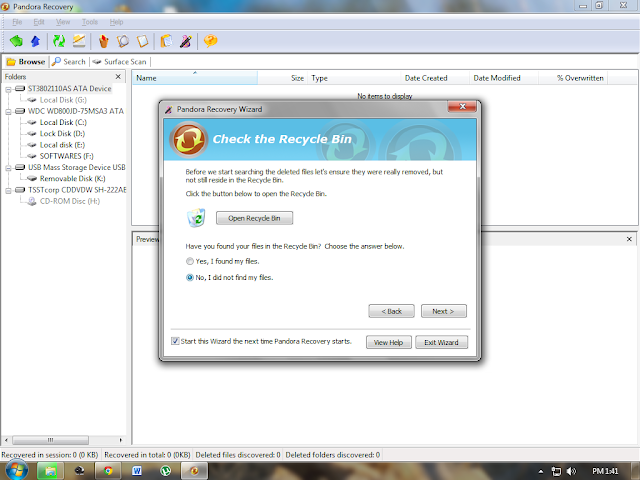 IF you want to recover files from this software recovermydeletedfile you can do this but it is not a free software the prize of this software is 39$ and i think recovering with pandora recovery is good option without spending mony.